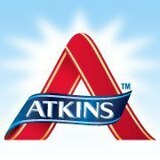 Get the free Atkins Quick Start Kit with Free Atkins Bars. Like the Facebook page then fill out the form to receive your free kit. Please limit one kit per household. Sick of diets that don’t work, I really want to know if this does. I need to lose weght and dont know how. I would really like to lose weight now.